Engineers from KV2 Audio are putting the company's revolutionary VHD5.0 large format concert system through extensive testing in preparation for its first major public performance. The system will be used for two sell out concerts in Bratislava, Slovakia for one of the country's leading performers Lucie Bílá. George Krampera Chief Engineer at KV2 said the system had performed beyond their expectations in the preliminary trials but he wasn't leaving anything to chance. "It is extremely important that the system is 100% reliable before we release it and it starts getting used on the major shows. We are making sure everything is exactly as it should be before we place VHD5.0 in the market." Jeffo Minarik, Producer and Director of the show said: "I have been doing big shows for 15 years. I've never given any extra importance to sound or the PA system. Mostly visual effects like lights, LED screens etc. are dominant. In my experience all the major PA systems performed equally, with some subtle differences, until now! This is something totally different, literally fascinating. 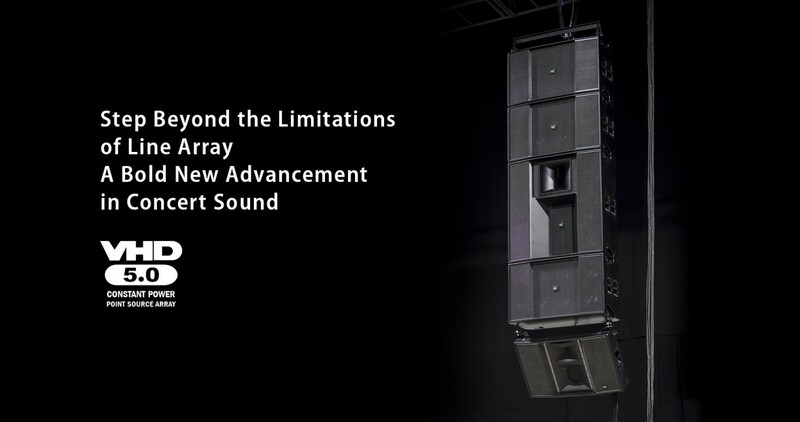 Now I realize how big a difference there is between point source and line array systems and what the audience is losing by using regular digital technology. I believe this system is revolutionary, KV2 VHD5.0. with an analogue mixer is the most perfect sound I've ever experienced. Suddenly, sound was right in front of me while I was standing 50 meters from the system, unbelievable. Such clear, fast, powerful sound creates an amazing experience. I predict a huge success to this system." Preliminarily shown at last years Frankfurt Pro Light and Sound, the VHD5.0 has been going through the final stages of rigorous testing, ready to ship the first pre ordered systems later this year. 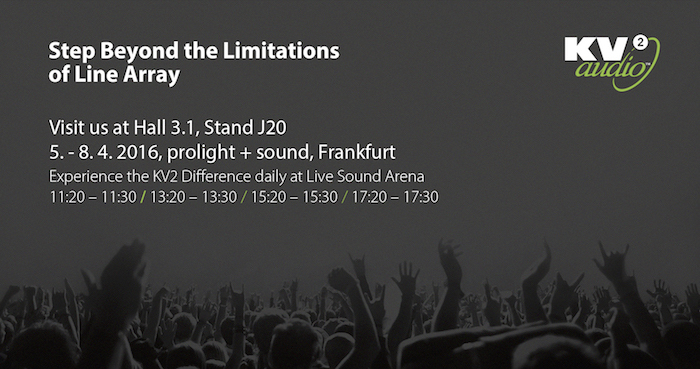 KV2 Audio will be promoting the benefits of the VHD5.0 Constant Power Point Source Array at this years Pro Light and Sound in Frankfurt on Booth J20.